Like many other independent-minded directors working in the US at the time, Kramer didn’t have the freedom to be an auteur in the true sense of the word. Given that he wanted his films to reach a wide audience, his goals had to be realised while working within the constraints of the studio system. This often meant populating his films with well-known actors (some of whom were, in the Hollywood tradition of the period, Star Personalities – associated with a certain type of role in the average moviegoer’s mind). And though the scripts that he worked with were weightier and more nuanced than those in the typical studio film, critics haven’t always been kind to him – his work has sometimes been dismissed as bloated and self-conscious, with contrived resolutions and simplistic treatment of important issues. In short, “Hollywoodised”. It’s commendable that Kramer could make these self-critical remarks, but I think he’s being hard on himself. His best work still holds up quite well today (unless your idea of good cinema is restricted to indie films that are entirely uncorrupted by studio money). Among the movies that he directed, the one I’m fondest of is Judgment at Nuremberg, his stark three-hour epic about the Nazi war trials shortly after the end of WWII. I first saw it as a 14-year-old when I was trudging from one video library to another with the Leonard Maltin Movie and Video Guide in my hand, picking up any pre-1970s movie that the reviewer had given a rating of 3 or more stars (how strange this seems, given my supercilious attitude to the rating system now). I loved the film unqualifiedly back then. Watching it allowed me to combine two seemingly irreconciliable interests: a) the historical period in question – WWII, the Holocaust and its aftermath, and b) the careers of actors such as Spencer Tracy, Marlene Dietrich, Burt Lancaster and Montgomery Clift. Shot in austere black and white, Judgment at Nuremberg opens with the ageing Judge Haywood (Tracy), an American freshly arrived in Nuremberg, being driven to his quarters. Haywood looks around him at this wasted city that hosted grand Nazi rallies at the height of the Third Reich; later, he will go for a walk in a deserted quarter, observe the wary quietness of the few people around, and imagine hearing Hitler’s rabble-rousing speeches – the sense of decay is almost palpable, and resentment and guilt seem to exist side by side. But most of the action in this fictionalised version of the Nuremberg Trials takes place in the courtroom, where Haywood is presiding over the trials of four Nazi judges, men of influence and high standing during the Nazi regime but now war criminals being asked to account for their actions. Among the accused is the solemn Dr Ernst Janning (Burt Lancaster), a respected figure in his day and central to the film’s theme that in times of severe political change and uncertainty, even well-intentioned people can end up doing things foreign to their essential natures. Other principals include the attorneys for the defence and the prosecution, and witnesses such as a baker who was forcibly sterilised by the Nazis and a hausfrau whose elderly Jewish friend was put to death on the charge of having an “improper” relationship with her. But the film doesn’t cop out when it comes to fixing responsibility. In what may seem a contrived resolution, the courtroom drama climaxes with Ernst Janning responding to the call of his conscience and making a tidy little speech condemning himself and his associates for complying with events that they knew were wrong. Some critics have suggested that this scene, involving as it does one of Hollywood’s biggest stars, Burt Lancaster, is a sympathy-generator. But this is a ludicrous allegation, for just a few minutes earlier we have been shown documentary footage of the brutalities of the Nazi regime (this is hard-hitting stuff straight out of the concentration camps – certainly not something you’d expect to see in a mainstream Hollywood film of the time). Though the film has sympathy for people who were swept along by the dark current of history and made momentary decisions that they would regret for the rest of their lives, at no point does it suggest that the guilty mustn’t be held accountable. What the script does manage to convey is the ambiguity surrounding the actions of practically everyone involved in the rise of Nazi Germany. When Judge Haywood pronounces his verdict at the end, we agree with his insistence on making individuals accountable for their acts; but at the same time we never lose sight of the points the defence attorney makes in his closing speech – about moral relativism, about Churchill’s praise of Hitler while the Third Reich was building its strength, about American complicity in the growth of industrial Germany, about the long and complex series of events that allowed the horrors of Auschwitz to take place. Today, more than 15 years after I first watched Judgment at Nuremberg, it’s easier for me to see the flaws – for instance, that some scenes are static and heavy-handed. But it was very courageous for the time, and it certainly didn’t pander shamelessly to the box-office or attempt to spoon-feed a mass audience. And while some of the courtroom scenes are clumsily shot (you can almost sense that the cameraman was running out of places to put his equipment in this claustrophobic setting), it still looks good as a whole and its most powerful moments haven't dated at all. Do you think United Artists wanted to make Judgment at Nuremberg, the story of a Nazi trial? They weren’t at all interested in those people in the ovens and the crooked judges. I studded it with stars to get it made as a film so that I would reach out to a mass audience. Given those conditions, I think he did extremely well. It’s all very well to condemn a film for having too many big names in it, but why not simply judge the performances on their own terms? Watching Judgment at Nuremberg, hardly ever does one get the impression that star power is intruding on the film’s basic function. Spencer Tracy, that master of understatement, is the anchor here as the old judge, showing as he so often did that great acting doesn’t have to be about flashy, attention-grabbing moments (the sort that run with the nomination announcements at award shows) or playing a variety of characters with different looks and accents. In Tracy’s best work, everything could hinge on a single glance, or on the way his character listened to and responded to something said by someone else – and there are many such moments in this film; the moral dilemmas Judge Haywood faces give the actor a lot of scope for internalising his feelings. There isn’t a major weak link in the cast. The prosecuting attorney is played by Richard Widmark, another consummate professional, the fiery defence attorney Hans Rolfe is played by Maximilian Schell (who won the best actor Oscar for this role despite being the least-known member of the cast – or perhaps because of it). 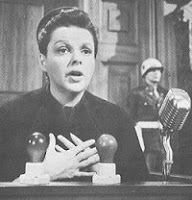 There are short but very effective cameos by Judy Garland and Montgomery Clift as Nazi-regime victims who testify in court. (If you’re at all interested in acting styles, it’s fun to contrast Clift’s attention-grabbing Method performance with Tracy’s naturalistic one.) And on the sidelines is the magnificent Marlene Dietrich (all of 60 at the time but looking ageless as ever) as a German general’s widow who forms a wary friendship with Judge Haywood. P.S. I have conflicting views on this idea of star power undermining the credibility of films that deal with social issues, or that are “realistic” in the usual sense of that word. In this post, I mentioned that the non-mainstream Amitabh Bachchan starrer Main Azaad Hoon, his honest attempt at doing something different, didn’t work for me because much as I adored AB, I could never see him as John Doe or Everyman. 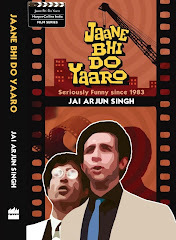 The quality of Amitabh’s performance was beside the point, since his reputation and screen image would be a mental block for a viewer regardless: for the film to truly achieve what it wanted to achieve, the lead role would have had to be played by an unknown actor, or at least someone who didn’t have iconic status. However, attractive though this idea is – that star personalities shouldn’t be allowed to mix with Serious Cinema – it’s also very exclusivist, besides being impracticable of course. Another post on that sometime. Was interested in your questioning of the idea about the conflict between star actors and serious cinema. It made me think of the Italian neo-realist movement in the aftermath of the Second World War, which largely used non-actors. It is difficult to imagine that movies such as De Sica's The Bicycle Thief would have had the same impact, if a certain star had played it. In some of my favourite movies, such as Godard's Breathless and Truffaut's The 400 Blows, the introduction of new actors had the advantage of no particular image preceding them. It is hard to see a Daniel Radcliffe-like child star playing Antoine Doinel, with the same impact. Still can't make up my mind about it, though. Robert De Niro produced one sterling performance after another in Scorsese's films. (And they made eight in all, which is no small number). Great comments about both the film and Kramer, who is unjustly overlooked. I think two things when I read it, one about Kramer and one about stars. About Kramer, I notice in the interview excerpts that the emphasis is on the narrative story, rather than filmic style: Kramer's quest was to get certain types of stories told, stories with certain social import, but he is using standard Hollywood narrative and film techniques to do so, rather than tell a story with very different techniques. Comparing Nuremberg to Hiroshima Mon Amour, as he does, it is not just the story, but also the way the story is told that makes the films so different. Kramer uses standard Hollywood narrative techniques and visual language, and I don't see that that is an issue for him. If Resnais had done the Nuremberg story, it would be a very different film; likewise for Kramer's version of Hiroshima. Imagine Kramer doing Marienbad ? neither can I. If an anthropologist from Mars saw this film for the first time, he (she, it?) would be seeing Burt Lancaster and Dietrich and the others for the first time. If we could see a film without knowing what the actors had ever done before, that would be an amazing experience -- to judge a performance by an actor by just the performance per se. So, from that point of view, it only matters that the actor is best as that character in that story. Legend, megastar, star, B player, character, newcomer, method, stagey, amateur -- it doesn't matter: only the performance matters. One the other hand, we do derive a lot of pleasure from knowing the history of and being familiar with an actor, as their various roles unfold over time. We take pleasure (or pain) in their variety and limitations. I think we are fascinated by the process of seeing an identity molded for a persona. A famous example is Bogart in Sierra Madre: audiences hated it at the time because they got Humphrey Bogart the actor, not Bogie the star persona. Yet it is one of his most brilliant performances as a actor. I agree this is not Lancaster's best role. I think he was a tad miscast in a sympathetic role, after two brilliant recent roles of the opposite flavor in Sweet Smell of Success and Elmer Gantry. I suspect the studio was trying to recapture the flavor of From Here from Eternity, but Kramer wasn't going to do a melodrama. So it shows. So from this second point of view, we MAY gain in our experience by having a star with a pre-known persona in a role, but it is a risk: the star must first be able to give us the character, otherwise we will only be left with the persona. And we all know that when we see it! Vaibhav: a major selling point of the neo-realist films was that they were made with non-professional actors. Take that away and I doubt it would have been so easy to define it as a major movement in film history. Randy: thanks, that's a fine summation of the relationship between actor/star and audience - I also made that point about the Martian's perspective once before. About Lancaster: the impression I got was that he was subdued, that the natural vitality which served him so well in all sorts of roles (even when he played the weary prince in The Leopard) was missing, and that's a pity. Maybe it just comes down to him being miscast. As is often the case, enjoyed reading your account. Has given me the impetus to go and check these films out! My former boss showed us this film in a management session. He was a lawyer so was perhaps impressed with the argumentation part of it, the moral dillemas. I didn't think greatly of this documentary film. Someone mentioned Bicycle Thief. That is a different thing, a gem indeed. I'd like to think of Stanley Kramer as liberal Hollywood's answer to Frank Capra's conservative populism. Neither of them was very subtle. However, I thought Capra made better films largely because of his uncanny knack of infusing his pictures with lots of comedy unlike Kramer whose films tend to take themselves too seriously. Both directors were adept at using star actors. My favourite Kramer film is 'Guess Who's Coming to Dinner' starring Hepburn and Tracy. It has the right dose of situational humour and the star performances ensure that we do not mind the lack of subtlety in the plot. It's hard to see the film succeeding with a low-profile cast.